As National Wildlife Week descends, we take a look at some of the top animals around the world and the best time to spot them. Plan a cruise around a grand migration or pinpoint breeding season to witness some of these amazing species up-close. The animal kingdom is full of spectacular sights, with certain months of the year hosting unforgettable wildlife spectacles you’d be mad to miss. From the epic wildebeest migration across the plains of the Masai Mara to the primal red deer rut in Scotland, there is something to take your breath away from January through to December. To help you decide which wildlife spectacles to put on your bucket list, we have created a guide to what you can see across the world and the best time to see it. You will never forget the sight of a troop of mountain gorillas lounging among the trees in the Rwandan forest. 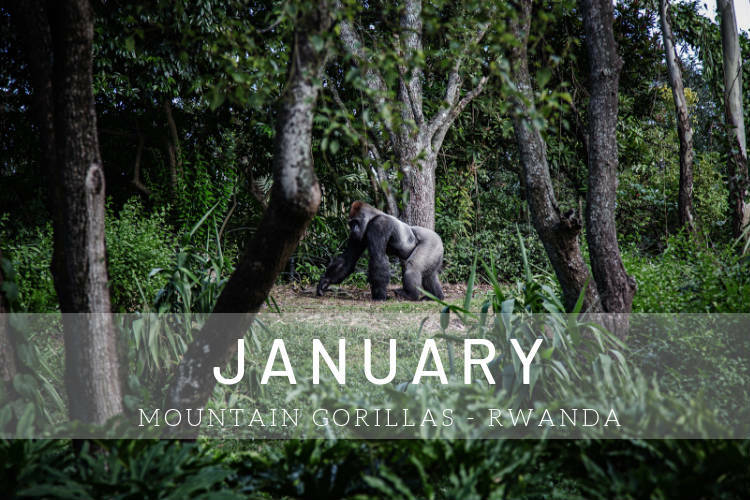 These stunning primates are some of the most endangered animals on the planet, and visitor numbers in their mountain home are strictly controlled, so you can be sure that a trip to see them will be just as intimate as it is unforgettable. Gorilla trekking won’t be hampered by mud in the dry season. 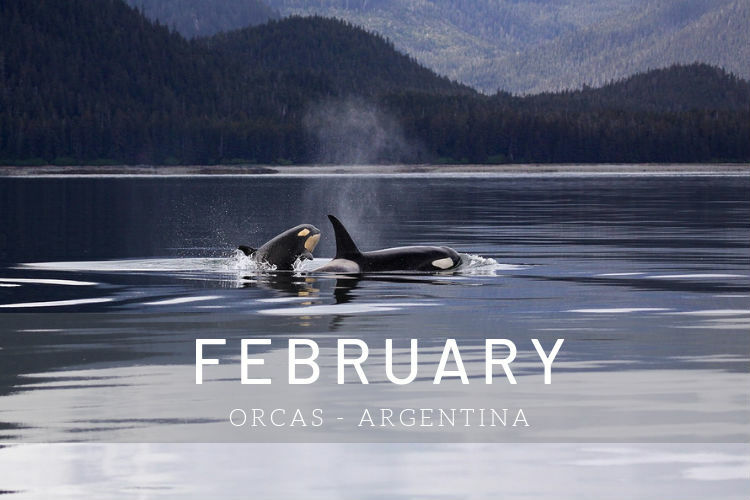 Punta Norte’s orca population has developed a unique way of hunting sea lions during the pupping season. In a spectacular show of their intelligence and determination, the animals beach themselves in an effort to grab young sea lions from the edge of the water. On risking their lives for this valuable source of energy, they create a wildlife spectacle that has to be seen to be believed. Sea lion pups are becoming more confident and getting ready to swim. 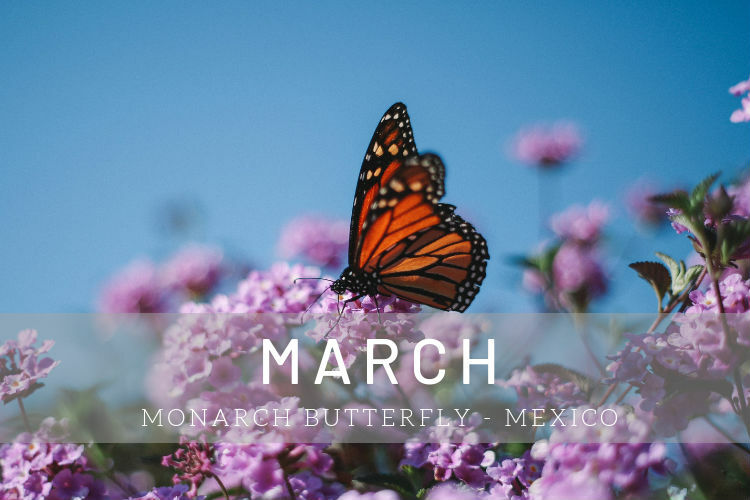 Millions of monarch butterflies gather in the pine forests west of Mexico City every year. Fleeing the cold of the United States and Canada, they cluster in the trees to take advantage of the warmer climate. When the forest really starts to warm up, however, the real action starts, with the butterflies taking to the sky in order to feed and mate before flying back across the border. Warmer weather means the monarchs start fluttering their wings to catch ascending air currents, then take flight in a stunning mating ritual. There is nothing like the sight of a beautiful tiger slinking elegantly across the road in front of your vehicle. 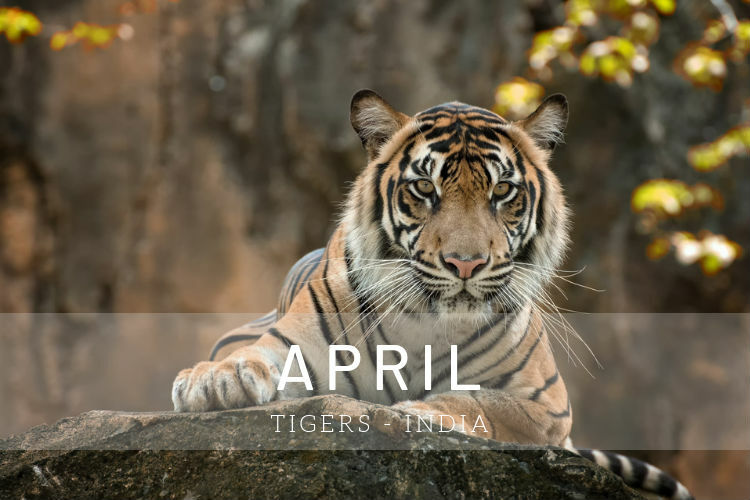 And in April, sightings are at their best. The dry season means that vegetation is shorter and the whole country is drier, leading India’s wildlife to congregate around the last remaining watering holes for a much-needed drink. The searing weather means less foliage and fewer places for tigers to disappear into. scouring the shore for razor clams at low tide. 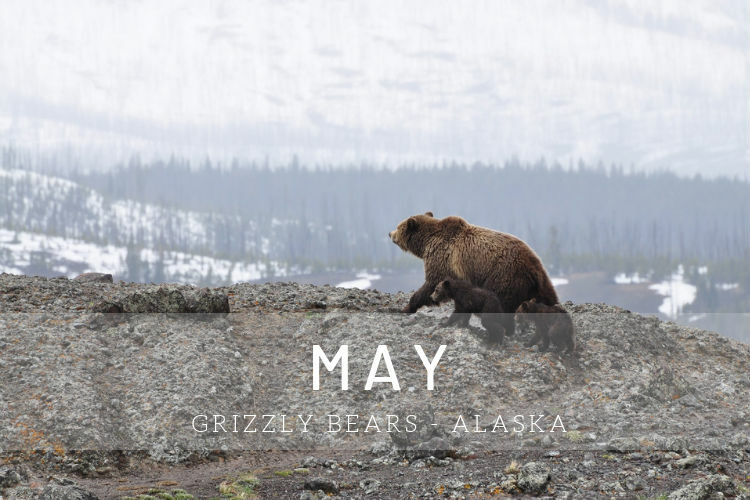 Fewer bears are fishing, but you can combine a bear-watching trip with countless other animal sightings and a landscape bursting into life. 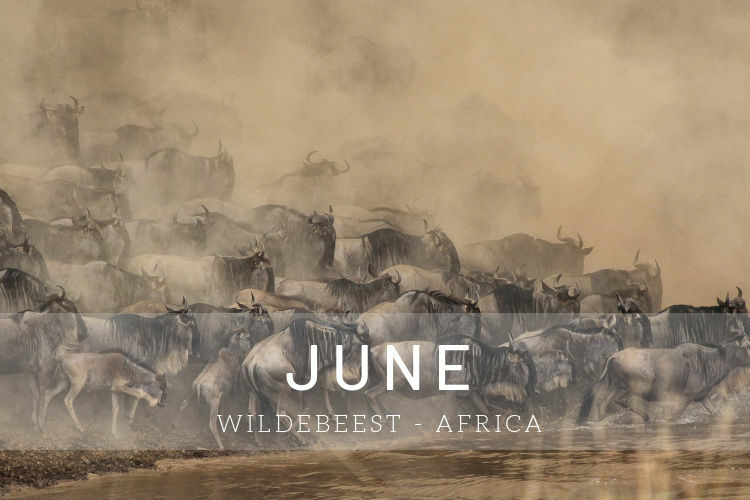 Every year Africa’s wildebeest population makes an epic journey from the Serengeti in Tanzania to the Masai Mara in Kenya. It is spectacular from start to finish, but the final leg of the migration – where millions of wildebeest and thousands of gazelles and zebra attempt to cross the Mara River – is by far the most breath-taking. Crocodiles lie in wait for the migrating mammals to cross the Mara, creating a heart-in-mouth spectacle. No words can describe your first sighting of the largest fish in the sea. One of the best places in the world to see them is Exmouth in Australia when groups descend on the UNESCO World Heritage site, Ningaloo Reef, to feed. These gentle giants arrive to take advantage of the mass coral spawning that takes place between March and July. 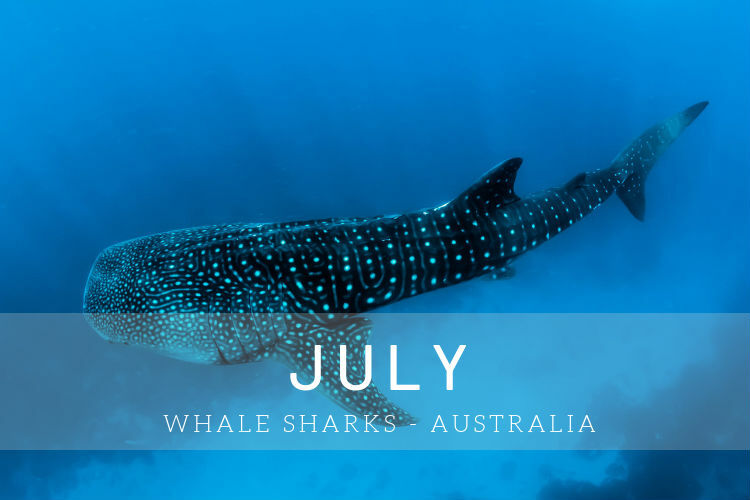 Ningaloo’s whale sharks congregate to feed, meaning sightings are virtually guaranteed. 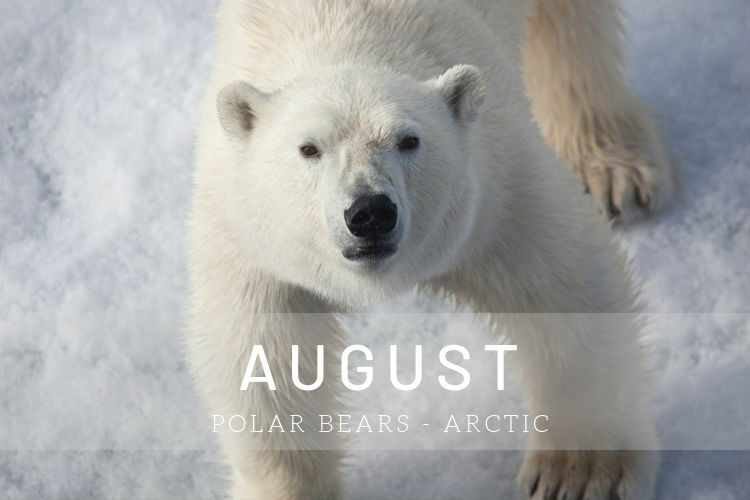 Svalbard is a fantastic place to spot polar bears patrolling the ice, especially during a Polar expedition cruise on a ship that can take you closer to the action. And August isn’t just a great time to push deeper into the Arctic; you can also witness the famous midnight sun, giving you even more time to explore this region’s frozen reaches. Melting ice means you can cover more ground to find polar bears concentrated in the remaining frozen areas. 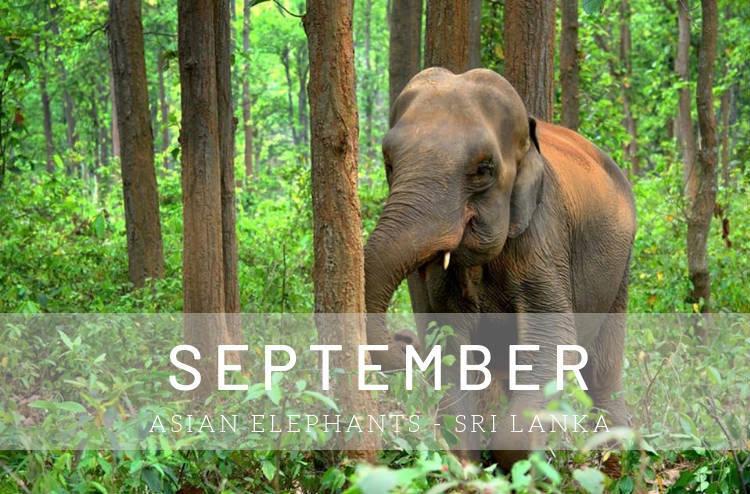 Sri Lanka is home to one of the highest densities of wild elephants in Asia, and in September, they congregate at Minneriya National Park in their hundreds. ‘The Gathering’ arrives to gorge on grass and bathe in an ancient reservoir that provides much-needed relief from the intense heat of the dry season: a wonderful sight that will stay with you forever. The end of the rainy season breathes new life into Minneriya, leaving behind a feast of lush new grasses for the hungry elephants. 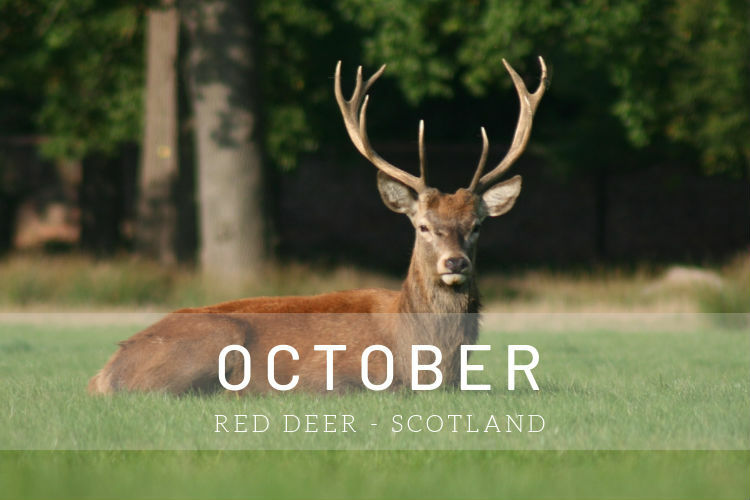 Every autumn the Scottish Highlands come alive with the sound of clashing antlers and bellowing calls. This is the red deer rut in all its glory: a primal event fuelled by raw testosterone. The moment a pair of clashing stags locks antlers will make your breath catch in your throat, while there is nothing more endearing than a stag adorning his weaponry with a headdress made of bracken. The rut peaks during October, with even more stags battling out in the open. 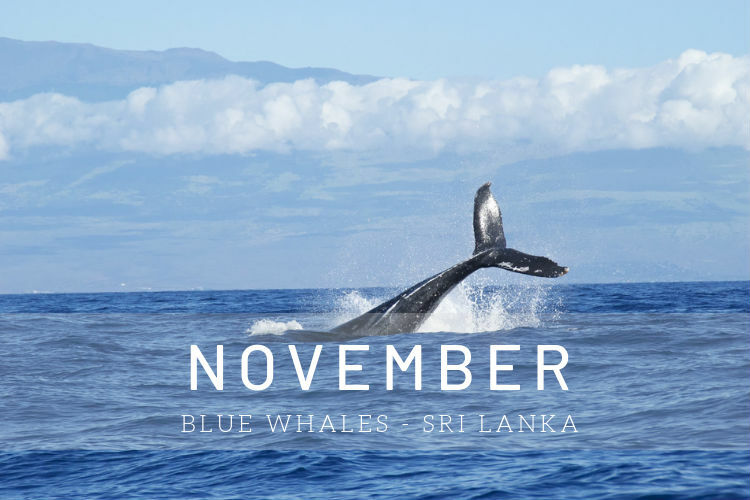 From November to April, the waters around Sri Lanka’s coastal paradise of Mirissa are warm and calm – prime conditions for sightings of the largest creature on Earth: the blue whale. These huge mammals take advantage of the high numbers of plankton in the area; putting on a show as they surface for air and dive down to feed. Prep your camera for that iconic tail fluke shot. Calm, post-monsoon waters make whale sightings more likely, and you less likely to feel seasick! 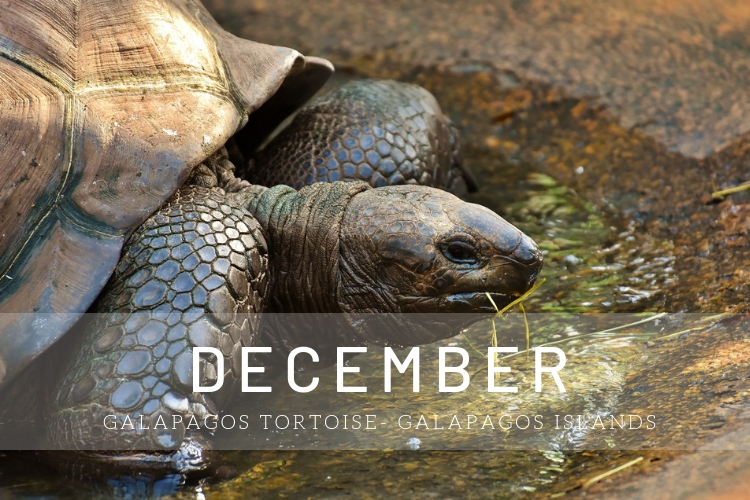 The Galapagos Islands are unforgettable all year round, but one spectacle lends December an even bigger draw. Giant tortoises start hatching; pocket-sized doppelgängers that it is hard to believe will one day weigh around 33 stone. The weather in the Galapagos may be slightly wetter during this time, but it is also when the islands turn lush with new vegetation for hungry wildlife. You can also spot sea turtles mating in the shallows and waved albatrosses fledging. Which of these wildlife spectacles are you dying to see for yourself? 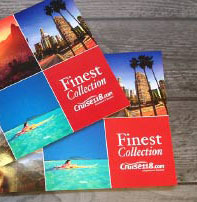 Let us know using the comment box below, and if you want to turn your dream sights into a reality, call our Cruise Concierge on 0808 202 6105 to discuss luxury cruises taking in some of these extraordinary events.